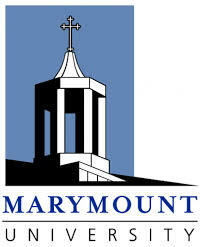 Marymount University is an independent Catholic university that emphasizes academic excellence at the undergraduate and graduate levels. Committed to the liberal arts tradition, the University combines a foundation in the arts and sciences with career preparation and opportunities for personal and professional development. Marymount is a student-centered learning community that values diversity and focuses on the education of the whole person, promoting the intellectual, spiritual, and moral growth of each individual. Scholarship, leadership, service, and ethics are hallmarks of a Marymount education.